Remember those music lessons your parents forced on you as a kid? Even if you haven't kept up with practicing, the lessons may have provided a boost to your speech abilities as an adult. A study published in the Journal of Neuroscience in the October 2013 issue shows that older adults who took music lessons as kids had a faster brain response to the sound of speech than those who never studied music -- even if the child musicians hadn't picked up their instruments in decades. 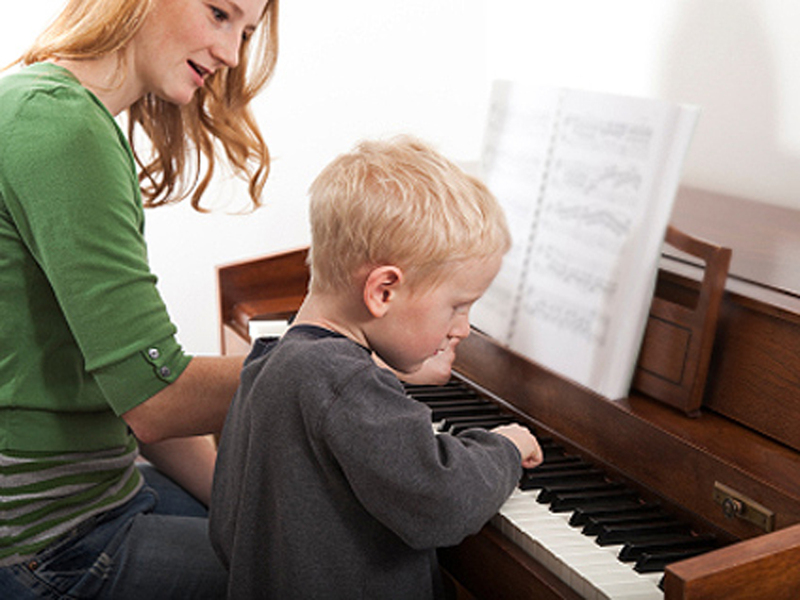 "This study suggests the importance of music education for children today and for healthy aging decades from now," Nina Kraus, professor of neurobiology, physiology and olaryngology at Nortwestern University School of Communication, said in a press release. "The fact that musical training in childhood affected the timing of the response to speech in older adults in our study is especially telling because neural timing is the first to go in the aging adult," she added. Researchers studied 44 healthy adults between the ages of 55 to 76. None of them had played an instrument in almost 40 years. They were asked to listen to a synthesized speech syllable ("da") while the researchers measured the electrical activity in their auditory brainstems. This part of the brain processes sound and is a center for cognitive, sensory and reward information. Participants who had studied music for four to 14 years had the fastest response to the "da" sound, about a millisecond faster than those who didn't have any prior music lessons. Kraus said the study shows the importance of music education. An expert added that the faster processing abilities gleaned from earlier music education are nothing to discount. "Being a millisecond faster may not seem like much, but the brain is very sensitive to timing and a millisecond compounded over millions of neurons can make a real difference in the lives of older adults," Michael Kilgard, a professor at the cortical plasticity laboratory at the University of Texas at Dallas, said in a press release. Kilgard was not involved in the study. Music has also been shown to aid development in children too young to play an instrument. Lullabies were shown to increase feeding and sleeping in premature infants who were staying in neonatal intensive care units (NICUs). Some hospitals believe in the musical therapy so much that they fund special programs that allow people to come sing and play for the premature patients.